There are many free cloud storage services are available but one that we use the most is Dropbox. It is the most popular service to store files online. The one thing that you may not like to do is to download files from internet and then upload the files to your cloud storage account. Luckily there are two services that bypass the process to download the files to your hard disk and let you upload any file directly from internet to your Dropbox account. URL Droplet is the simple to use service that allows you to paste the download link for any file and have it download straight to your Dropbox account. 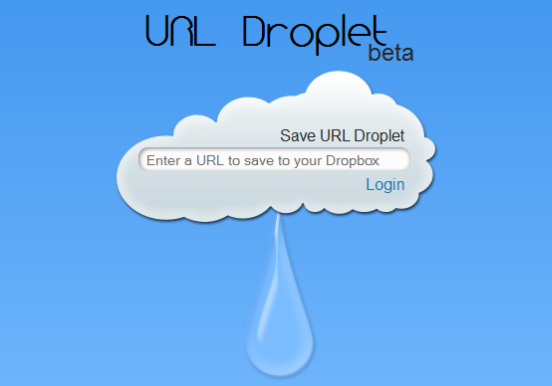 It require you to connect your Dropbox account with URL Droplet. Once you connect both your accounts, you can start download files from web directly to Dropbox. sideCLOUDload is another service which let you download files from a URL directly to Dropbox without downloading to your computer or mobile device. First you need to enter your file download link. Then enter your user name and password. You also need to provide a filename and directory name. By default the files are saved to directory with the name sideCLOUDload. You can upload a file with a maximum size of 25 MB using this service. Thats very handy from dropbox, their service has improved a lot over the years.